Making friends and influencing people in Silicon Valley? Use a local connector. Local connections make all the difference. Especially in Silicon Valley. Get a head start with a local partner to guide you and create connections. Innovation thrives on communications. Why is there such a time lag between the creation of new tech solutions in Silicon Valley (and elsewhere) and implementation into campaigns and advocacy groups in DC? Email and calls can never replace the value of in person meetings. How can the interactions between campaigns, organizers and Silicon Valley be enhanced so that needs are understood better, practical solutions offered and campaign costs reduced? This all sounds good, but how does a small group with little money and no Silicon Valley connections accomplish this? It starts with a well-connected, local partner. DemLabs has organized over fifty events for progressive groups and candidates since being founded Jan 2017. Facilitating connections for progressive groups to Silicon Valley is part of our mission. We do this for free for our partners. Let's review two upcoming trips (for Heather Booth & The Blue Institute) to explain how. Contrary to public perception there is a lot more to Silicon Valley than just programmers and billionaire donors. The SF Bay Area includes San Francisco, Oakland, Palo Alto, San Jose and spans over 100 square miles. To maximize the results of your trip, it's essential to factor in commute times, available venues, locations where your target audience congregates and publicity to drive attendance. DemLabs is a lean startup. We try to hold events at venues provided at no charge to lower costs and let more people attend for free. Like-minded groups promote the events on social media and through their local networks to drive attendance at the events. We do not charge to coordinate these events in keeping with DemLabs mission to facilitate progressive tech collaboration and innovation. All donations go to the visiting group. The BLUE Institute "We need to have a pipeline of young people who are ready to take on races, whether we're talking about presidential level or state races, congressional races or issue campaigns," said former Georgia House Minority Leader, Stacey Abrams. "What I want for this institute and for the trainees to be seen as hot commodities for professionals who need to staff up quickly and staff up smart, and they will know that this is the place to come and that these are the young people that they should be hiring." Minority voters can give candidates the winning edge, but campaigns struggle to find staff of color to connect with voters. 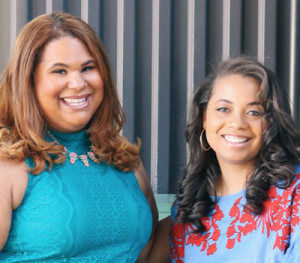 Ashley Robinson and Genny Castillo co-founded the BLUE Institute in Atlanta to meet this need and train young people of color to become leaders and electoral campaign staff. Ashley and Genny have years of experience in organizing and politics and also worked on Stacey Abrams' 2018 Gubernatorial bid in Georgia.They are a small group with limited resources, but wanted to connect with potential donors, technologists, trainers and other progressive capacity building groups. Here's the partial agenda DemLabs has set up for them and how you can register. Manny Yekutiel worked on both the Obama and Clinton campaigns and, after 2016, he was struck by the thirst for civic engagement isn SF. He launched, Manny's a civic events space with rentable space. DemLabs is proud to support this wonderful venue. "What bonds ideological absolutists on the left and the right is precisely what inspired the building of this new space — the opportunity to reverse corrosive incivility and to have vibrant discussion about complicated subjects. The ugliness of online discourse has made people hungry for the constructive in-person dialogue we are fostering at Manny’s. Let’s show how San Francisco values of openness and acceptance trump intolerance and animus. Let’s bring high-quality discourse back". Participate in an evening event in honor of Black History Month at The Battery. This event is for Battery members and a small guest list. 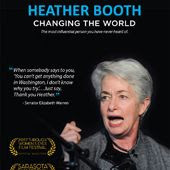 Heather Booth a renowned organizer and activist, began her remarkable career at the height of the Civil Rights movement. She was active in the early Women's Movement founding JANE, an underground abortion service before Roe. She founded the Midwest Academy, a national center for grassroots organizers. She has worked on electoral campaigns and with the DNC, and was the founding director of the NAACP National Voter Fund. She has directed and been strategic advisor to many issue campaigns including winning the Consumer Financial Protection Bureau and for immigration reform. Heather's upcoming trip to Silicon Valley will share the importance of organizing and raise support for the Midwest Academy. With this goal in mind (and March being Women's History Month), DemLabs is sponsoring screenings of "Heather Booth: Changing the World", an inspiring documentary by award-winning filmmaker Lilly Rivlin. It uses Heather's life and work to explain how social change really happens. These screening will be followed with a discussion with Heather with all proceeds going to support the Midwest Academy and promoting the film. All the events are free to attend unless otherwise marked. Contact DemLabs here, if you have a worthy cause that could benefit from Silicon Valley connections and support. Let's build bridges and connections - not walls.